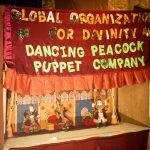 The Seattle GOD team organized a puppet show on 17th Aug 2010. 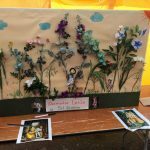 One family requested to have this puppet show for their kid’s birthday party. 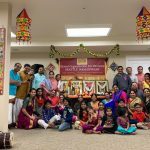 As per the request the Seattle GOD team organized this show. It was a great success and all the kids were laughing and giggling and thoroughly enjoyed the story. There were around 25 children and also many adults who witnessed this show. 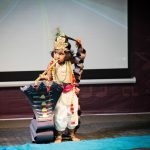 The theme of the story was “Krishna Provides.” It ended on a sweet note with the chanting of the Mahamantra. The dancing peacock puppet company is becoming an established name in the fields of kids culture and entertainment and it is becoming a great hit among young ones in the Seattle area. 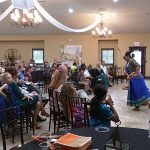 This show was organized by Sri Muthuji -Vaishnaviji, Shanthi Dhileep and others. 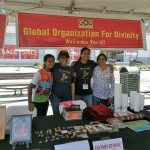 the Seattle GOD team has been doing a selfless service in organizing such shows as a Kainkarya to G.O.D and our Guru Maharaj. One Response to "Dancing Peacock Puppet Show in Seattle"
I am hosting my son’s first birthday party on April 28th and was wondering if I could have you perform a puppet show for the kids. Can you please call at 425.223.4163? or email at shubasr@gmail.com, whichever convenient?